You can get heirloom tomato salad at J. Devoti Trattoria, or a meatball, or a pizza with sourdough crust. When you walk into J. Devoti Trattoria, don't be surprised to see seven-year-old Luca Devoti diving across the floor, action figures in hand, as he pretends the dining-room tables are a fortress to guard against malevolent invaders. Granted, he only gets away with this early on in the evening's service, and even then, Bonnie Devoti is never far behind, tsk-tsking her grandson to make way as she seats incoming guests. The scene takes place in St. Louis, but it would feel right at home at a quaint family-ruan restaurant in the old country. 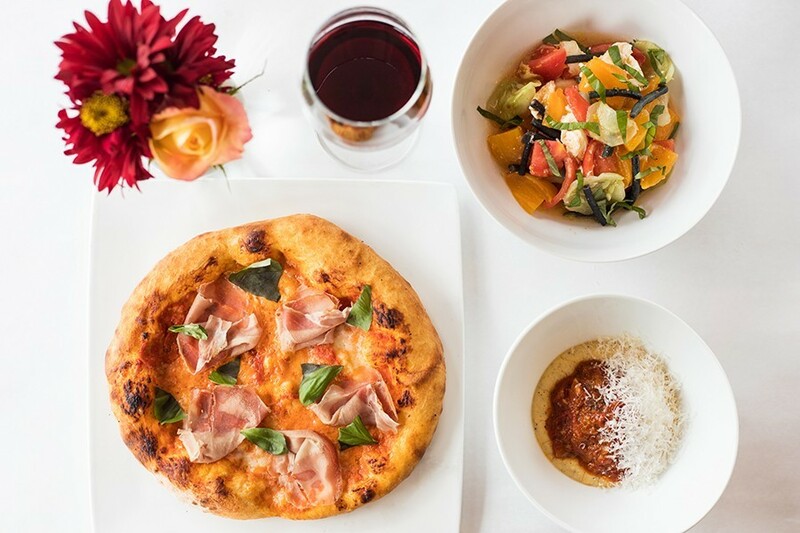 And that feeling is exactly what chef Anthony Devoti wants to convey with his new concept — a place where the only thing more Italian than a grandma shooing her grandson is a fiercely farm-to-table culinary ethos. 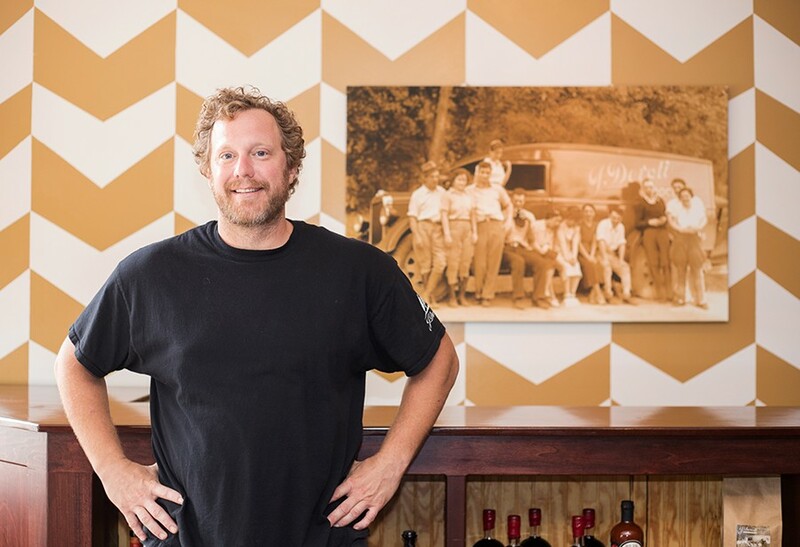 For Devoti, the authenticity is not the new part: He has been running perhaps the most authentic Italian restaurant in town since opening his acclaimed Five Bistro twelve years ago (he moved it to the Hill in 2009). Heirloom tomatoes straight from the garden, basil plucked from the plants on his mom's patio, nose-to-tail cooking where every last ingredient can be immediately traced to its source — if you wanted to know what it's like to eat in his ancestral homeland, far off the tourist drag, there was no better example than Five. The problem for Devoti, however, was that few diners seemed to realize it. 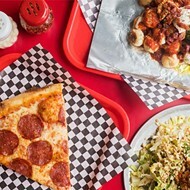 Surrounded by the cheese-covered red-sauce joints that define St. Louis-style Italian, Five was considered an outlier, and by extension, not fully Italian. The perception initially didn't bother Devoti, but as he became a father himself, he found himself waking up to the importance of family and heritage. 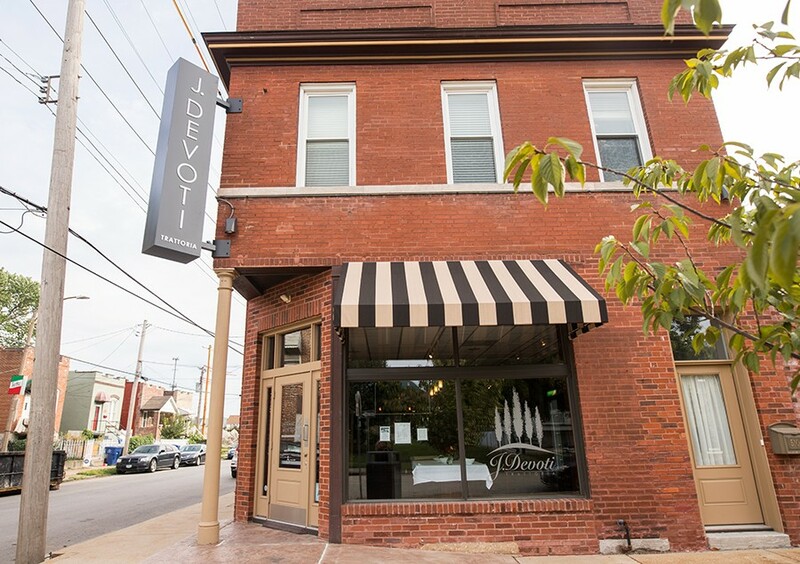 Determined to reclaim what it means to be an Italian restaurant in St. Louis, he decided to close Five, shuttering it this past March only to reopen in the same location a month later as the explicitly Italian-influenced J. Devoti Trattoria. 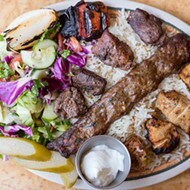 The restaurant takes its name from the grocery store Devoti's great-grandfather opened after immigrating to the U.S. more than a century ago. But the changes aren't just about honoring the past. Now a father of two, Devoti recognizes the allure of restaurants that can maintain the dignity of fine dining while accommodating parents who want to eat out with their kids. Ten years ago, you wouldn't have expected a place with a kids' menu, crayons and coloring sheets to also have wine glasses on top of its white tablecloths. At J. Devoti, these touches are not mutually excluasive — and represent a rebrand of fine dining as much as a rebrand of the restaurant. The walls are blue, with a broad white swath at the top. Other changes are subtle, more like tweaks than total transformation. The striking wallpaper with its mustard-and-white chevron print remains in the small dining room off the bar, but it is now offset by a gunmetal blue paint. That color carries through to the main dining room, where the walls have been painted the same blue-grey almost all the way to the ceiling. A small strip of white remains where the paint rollers ended, giving a whimsical effect. Vintage family photographs and black-and-white photos of the old country are clustered atop the sea of blue. 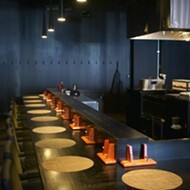 Insisting that he has been cooking Italian food all along, Devoti did not dramatically change the menu for the rebrand. His point of view as a chef still shines brightly on offerings like the fried-green-tomato appetizer, a dish that's simple, yet stunning in its execution. The tomato is coated in a batter flecked with sea salt and black pepper that remains shockingly crunchy, even as it surrounds the juicy, ripe fruit. Lemon-scented aioli the luxurious texture of custard provides an elegant dipping sauce for this masterpiece. Somewhere, a Southern auntie is shedding a single, love-filled tear. An Italian auntie, however, is giving Devoti an envious side-eye for his meatball — not because he's done anything wrong, but because it's so, so right. The fist-sized sphere of pork and beef is perfection of the form: firm yet tender, powerfully meaty yet delicate. The meatball simmers in tomato sauce as it cooks, allowing the pork and beef drippings to infuse it with meaty richness. It's the sort of sauce you see slowly bubbling on the stove, ruby red and slicked with pork and beef fat. And forget spaghetti; Devoti serves this revelation atop creamy polenta that soaks up every drop. If Devoti decides to rebrand again to focus on meatballs, he'd be set for life. 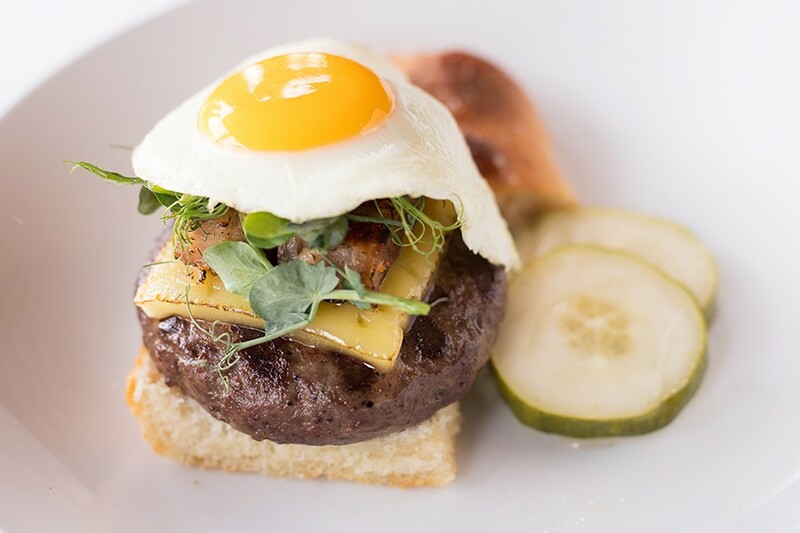 The burger is topped with a fried chicken egg and served on sea-salt foccacia with house pickles. Considering his prowess with ground meat, it's no surprise that Devoti's burger is a thing of beauty. Beef, pork and lamb are ground, generously flecked with pepper and formed into a thick, hearty patty that is cooked to a spot-on medium rare. The burger is succulent enough on its own, but Devoti pairs it with pecan-wood-smoked pork belly; its salty drippings drizzle the patty with a glistening glaze. Funky cheese, a fried chicken egg and housemade mayonnaise add even more richness, but just when you've had enough, a pop of refreshment from dressed greens, a pickle and a slice of green tomato provides relief. My only quibble is that the wonderful sea-salt focaccia used as a bun is too delicate for such a monster. The bread crumbles in the hands, making it a messy endeavor. The burger is still worth it, though it might not be the best choice for a business dinner or first date. The most notable change from Five to J. Devoti is the addition of pizza and pasta to the menu. Devoti's pizza crust is impeccable, with the char, chew and fermented tang you get from the best Neapolitan pizzerias. His individual-sized pie is heftier and thick all the way through the center, however, providing a substantial base for toppings. Devoti does not abuse this allowance, opting for simple tomato sauce, cheese and thin slices of cold smoked Westphalian ham, cured with rum, brown sugar and molasses. The result is flavor that gently enhances the ham's natural sweetness. 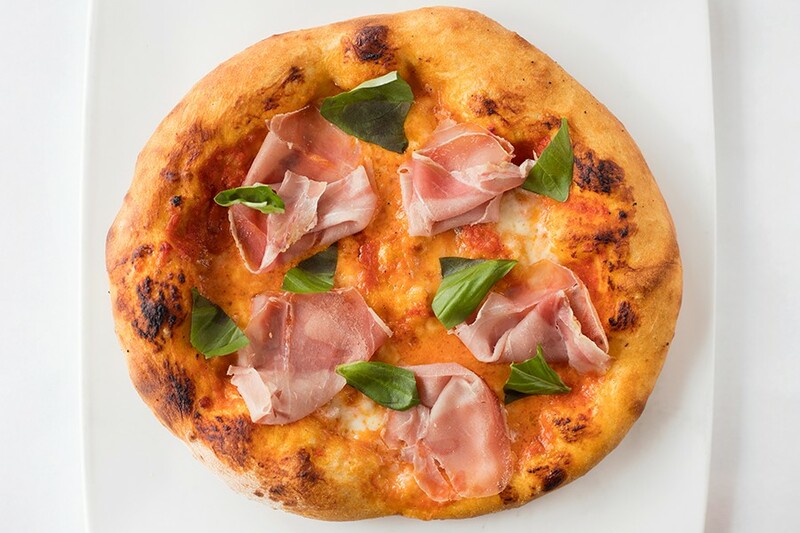 Sourdough pizza with tomato sauce, fresh mozzarella, house cured Westphalian ham and basil. Housemade ravioli shows why the trattoria is a class above its neighboring Italian restaurants. Tender braised pork ribs and creamy ricotta are nestled into an al dente pillow. They'd be glorious enough on their own, but the chef then tops them with small cubes of fork-tender pork shoulder, kale from his garden and a dollop of ricotta cream. I dare anyone to question whether this is an Italian restaurant after eating this dish. Vegetable risotto provides a master class in the form. Creamy, yet still retaining the texture of the rice grains, the dish is a luxurious canvas for a bounty of mushrooms and tomatoes. Even the kid's pasta is terrific, the housemade, ribbon-like noodles slicked with fresh butter and cheese, redefining what is meant by "butter noodles." J. Devoti Trattoria may not be a smokehouse, but its braised pork belly entrée can stand shoulder to shoulder with the top barbecue spots in town. There is no smoke on the meat, just pure, rich pork flavor magnificent in its unadorned state. No knife — or chewing, for that matter — is needed for this delicious meat. The pork basically melts on the tongue, the only thing breaking up its decadent mouthfeel the acidity from the grain mustard potato salad it rests upon. 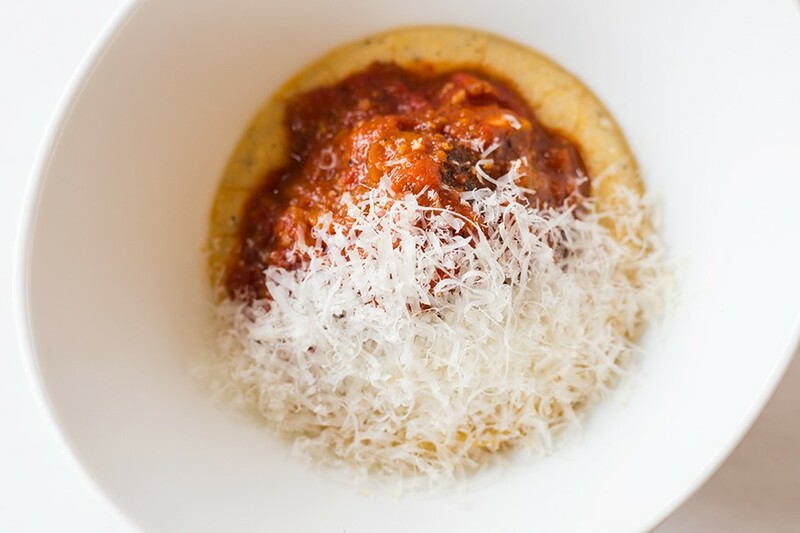 The meatball is served atop creamy polenta and parmigiano reggiano. If the pork dazzles in its simplicity, the salmon tasting shows Devoti's playful, more intricate side. Cold smoked salmon, as bright orange as the midday autumn sun, was the texture of rose petals. Next to it lay a skin-on salmon filet, flawlessly cooked and brazenly (for the Midwest, at any rate) undressed. The fish finally appeared in the form of a fluffy pouf, akin to a pâte à choux. Bits of salmon were subtly layered into the cloud-like concoction, providing a backbeat of flavor rather than a thunderous roar. All three forms were tied together with lemony-dressed greens and fresh herbs that brightened the fish's oily flavor. The platter is the work of a master. In keeping with Devoti's style, desserts are well executed and not at all fussy. Apple cobbler is about as straightforward as it comes; thanks to the freshness of its ingredients, adorning it too much would be like throwing clown makeup on a natural beauty. The evening's other sweet offering, an ice-cream cone filled with two different flavors (chocolate and fig, white peach and lemon basil) was made even more decadent by a caramelly sauce and crushed nuts that adorned its serving dish. Quite the fixture around his dad's restaurant, seven-year-old Luca has been known to hang out in the kitchen and help his dad with some of his pastry prep work. I can't help but think that the ice-cream cone — a whimsical, almost childlike touch — was inspired by, or perhaps even suggested by, him. 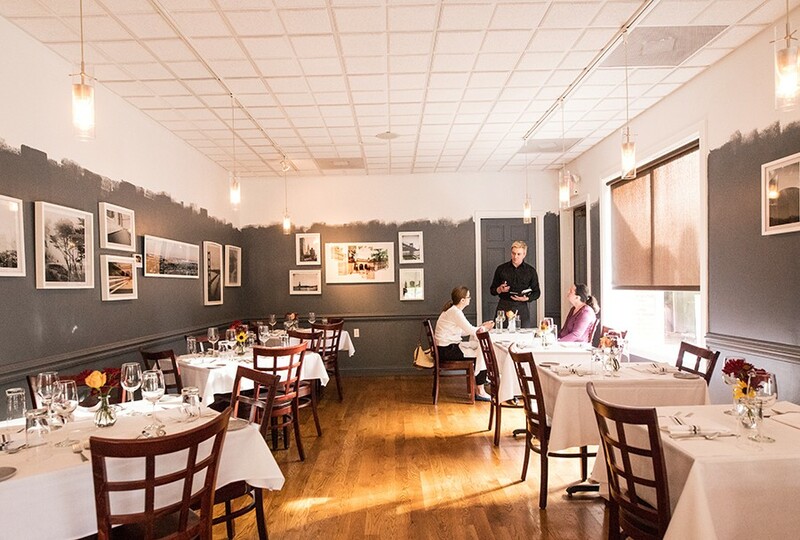 It's offerings like this that make J. Devoti Trattoria so much more than a great restaurant. 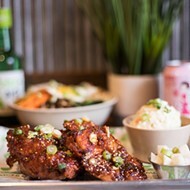 But even more so, the fact that the restaurant is a family affair gives it heart, an unquantifiable feeling that makes you feel good about eating here. That feeling shows in every last detail. If that's not authentically Italian, I don't know what is. 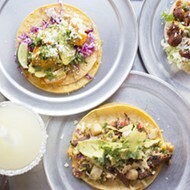 The restaurant is located in the city's Hill neighborhood.